Singapore enjoys a tropical rainforest climate with lots of rainfall and fairly uniform temperature throughout the year. This makes it incredibly easy for all sorts of pests to thrive in the area, which is why many homeowners need to be constantly vigilant with their property. Whether indoors or outdoors, Singapore pests have been known to multiply in numbers if not given proper attention as soon as they’re noticed. Of course, those are just some of the pests you will find in Singapore. There are also rats, termites, flies, centipedes, spiders, and more. While many of those can be seen in apartments, you can be sure that a landed property will prove to be more tempting. It is perfectly possible for YOU to effect the pest extermination yourself, especially when it comes to the smaller insect issues like a small colony of ants. For the most part, this can be solved through quick and natural methods that won’t cost too much on your part. However, there are instances when DIY methods are no longer enough. * When stinging insects are involved – it does not matter whether they’re bees or wasps, stinging insects must be approached with care. When disturbed, these pest would have no second thoughts attacking and defending their queen. It takes a professional to know exactly how to approach and remove the colony without causing damage to anyone. * When the pests are located in a dangerous part of the land – such as on top of trees, inside the grates or in the attic. If you are not sure exactly how to approach the colony, then have the professionals do it for you. They often have all the right tools and materials to perform the job without having to break anything unless it’s absolutely necessary. What Can a Pest Control Professional Do? * The assessment involves more than just the land but also every nook and cranny that could be harboring pests. The beauty of hiring professionals is that they have access to information you normally don’t. 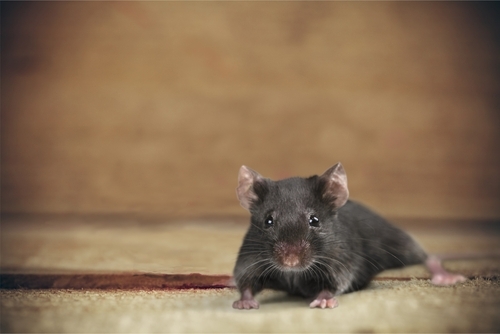 * Provide the best and most encompassing solution for the pest infestation. This includes fumigation and the destruction and removal of colonies. * Quickly and efficiently get rid of pests within a reasonable amount of time. The procedure usually takes less than a day, 24 hours at most. Fumigation may require homeowners to leave their home for the night in order to fully immerse the property in the gas. 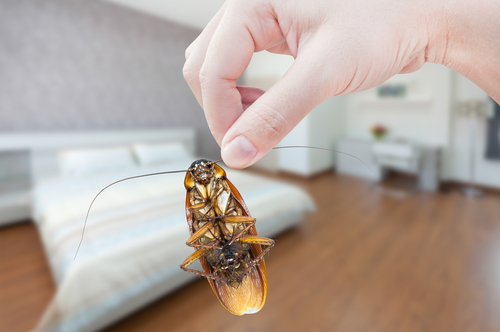 Pests are a danger not only to your health but also to the status of your property. If you have plants or fruit bearing trees, you can be sure that ants will get to them before you do. Mosquitoes are carrier of diseases while termites can cause the collapse of homes. Simply put, they’re not something you should ignore or leave to change. It’s crucial to act on them now and protect your property from invasion! You should be looking because the key to limiting damage is to catch an infestation early ideally before a colony has time to set up in your house. A little bit of prevention can save you hours of effort and thousands of dollars of expense, to say nothing of preserving the value of your home. -The places to check are areas where wood is contacting your house. Most commonly, this is firewood, which is a major source of termites. You should move it back from your house regardless, but that's a good place to look for signs of termites. -You then need to look at places where the soil is contacting the wood of your house, or is very near it. Ideally, there should be six inches between the ground and the structure of your house, but this doesn't always happen. -In either case, what you need to be looking for is signs of termites. The most obvious one is mud tubes, which are exactly what they sound like. Termites need their tunnels, so when they go above, they construct what look like tubes made out of the mud. If you see these, you have a problem. -Termites eat wood, so the usual place inside your home to start looking is where you can find the exposed wood of the frame of your home. Depending on where you live, you're going to be looking either in the basement or a crawlspace. In either case, you're going to require a flashlight and a flat head screwdriver. -Even if you don't find any of the obvious signs, you should check the wood. Which is where the screwdriver is going to be necessary you need to stab the wood, hard, with a screwdriver. -What you get with healthy wood is a dull thud and a fraction of an inch of penetration. On the other hand, if the screwdriver sinks deep into the wood and makes a hollow sound, you've got problems. 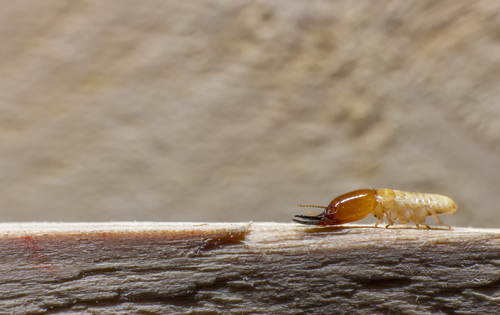 The most common termite infestation symptoms are easy to spot, so you need to start looking today. 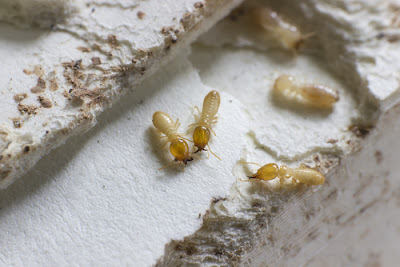 Whether you are buying a home in Singapore or even selling one, you will realize that one problem you need to be particularly beware of is termites.With attacks on one in five homes in Singapore, termites are not something that you can afford to ignore. Once termites have infested your home, it can be very distressing. It is also very expensive to have them exterminated. The best thing to do is to prevent them from moving into your home, to begin with. There are many ways to keep termites out of your home. Get busy and take steps to keep them away before they cause problems. You must keep your eyes open for signs of termites infesting your home. It is a good idea to do a check every year or even more often. It doesn't take them too long to get in and start multiplying. Before you know it they can get in and start eating away at your house. 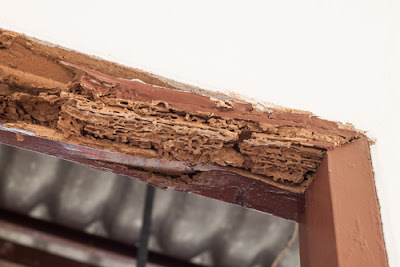 -The signs you are looking for will occur in places that termites love, including subterranean locations and areas that have a lot of dry wood. Look for piles of termite dirt in wooden ceilings, and make sure that you keep track of any mud tunnels that show that the little pests are digging around. -Lumber made from trees such as juniper, cedar, or redwood is great to use in constructing your home. These woods have a beautiful grain and also smell great. Termites among other pests don't care to set up housekeeping in woods such as these. The aromatic oils in them tend to repel insects and other pests as well. 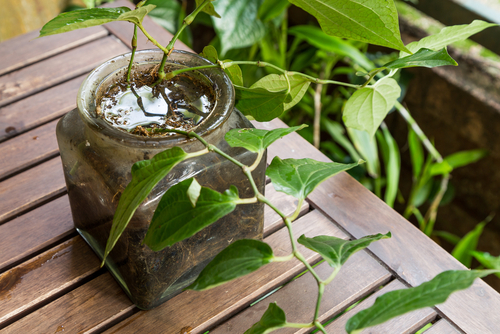 Also, try to keep your home as dry and moisture free as possible. The outside of your home is important too as well as the basement. Dry up any moisture you can find in these areas. -Not only does your home need to be unattractive to termites, but your yard and surrounding area also need to be considered as well. Keep plants, flowers or any vegetation away from the house to prevent mold and dampness from forming on the exterior walls. -Make sure there are no leaks spraying on or under your house. Position sprinklers so they do not splash the house when operating. Ensure that all cracks on the outside are filled in with proper sealant. Always check the bottoms of the walls which are likely to get damp, take steps to seal them and keep them dry. Before you build, buy or sell a house in Singapore, consider the issue of termites. Take steps to keep them away or you will find yourself spending a lot of money later to get rid of them. Save yourself the trouble and expense by keeping them away. If you do happen to find termites on your property, perhaps it's time to talk to a professional. If you suspect bugs in your bed then before using any bed bug control method you should read following do’s and don’ts to help you in controlling them more effectively along with preventing their spreading in nearby areas. 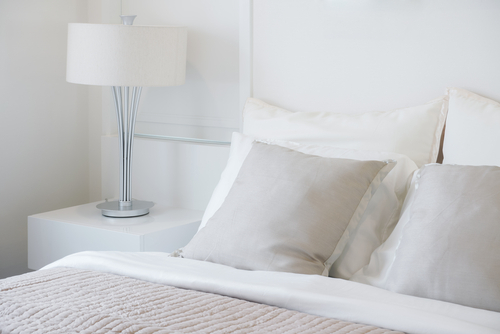 De-clutter your home: bed bugs get lots of places to hide in the clutters in and around your home. So to avoid these bugs you should keep the things tidy as much as possible and off the floor instead of storing them under your bed. It is easy to search out and destroy bed bugs if the things are neatly arranged. Be educated to plan for battling with bedbugs: In fact the process of bed bug control wants your stick with it and fight to get rid of the unwanted guests. You should be aware of multiple steps of an integrated pest management approach to defeat the bedbugs successfully. 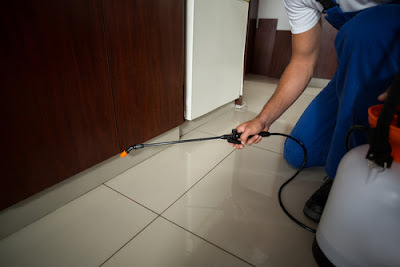 You must know the treatment options and strategies to be used to win the war, whether you are doing it yourself or approaching a professional exterminator to help you. Use mattress encasement to protect your bed: You can stop the bedbugs from biting you by encasing your mattress along with box springs in a mattress encasement as it will trap them away from you. 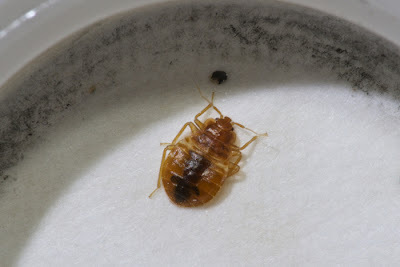 Moreover, killing the bedbugs becomes easier as they can be spotted easily when they come out of their other hideouts. Besides it you can also use mattress encasement to prevent the infestation of bed bugs in your bed, if you are not facing this problem now. 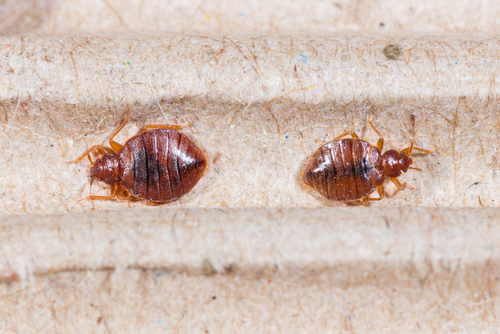 In fact bedbugs easily make their home in your bed as soon as you come in their contact. So it is necessary to spot their infestation as soon as possible to get rid of them more effectively. Vacuum frequently to remove bedbugs: One of the most effective ways of bed bug control is vacuuming frequently. You should vacuum all the nooks and corners as well as cracks in your floors, furniture and bed along with the areas where you can expect the bed bugs regularly and frequently to remove them from your home. Call a licensed exterminator for help: If you cannot control bedbugs yourself and can afford the expenses of a licensed exterminator then it is the best option for you. 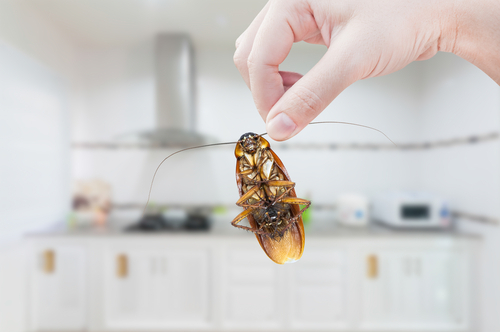 You can call an experienced pest control professional to help you in this respect. In fact pest control professionals have all the equipment and solutions needed for this purpose and the use them on the basis of their experience and knowledge. Use other methods to prevent bedbug bite: You can prevent the bite of the bed bug in three simple ways. One by protect your bed by encasing your mattress, pillows and box spring in a good quality mattress encasement specially designed for this purpose. 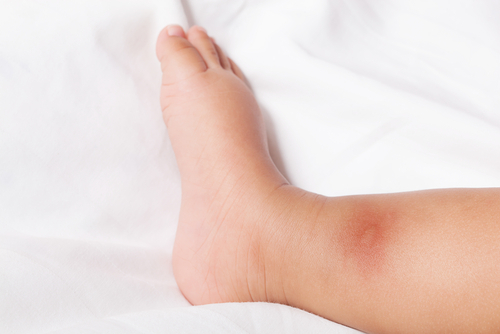 Secondly wear long pants or pyjamas and long sleeved shirt as bed bugs bite on exposed skin. Thirdly you can sleep under the covers tucked in tightly. Don’t sleep in another bed or room to avoid the bites of the bed bugs: You cannot get rid of the bedbugs just by sleeping in any other room of bed as you will be helping them in their infestation in other places. When they are hungry they are attracted to the carbon dioxide exhaled and heat of the body along with other things of the humans to find them. Don’t go to a relatives or friend’s house: By visiting a relative’s or friend’s house to get rid of bedbugs you will work as carrier for this problem. You may take the bedbugs along with you to your relative's house. Bedbugs are very nasty as they can survive for several months without any food. So you cannot get rid of them even if you stay away to let them starve. You can find them waiting for you even if you return to your bed after more than a year. Don’t throw away anything including bed: Some people think of throwing away their bed and other things to get rid of the bedbugs but it is not the right solution of this problem. In fact you will be helping in the infestation of the bedbugs in other places by throwing away you bed. They live not only in your mattress and other bedding accessories but also in the cracks and splits of your cot. When you put new mattress on it they will find new home for them like in the previous one. So to get rid of these bedbugs you should use the best methods of bed bug control instead of throwing away your bed. Don’t control bedbugs yourself: You should not use DIY techniques to control bed bugs unless your budget it very tight or you know how to do it. If you have no budget for it then first of all you should understand the system of integrated pest management especially for controlling bedbugs so that you can make an effective action plan for this purpose. 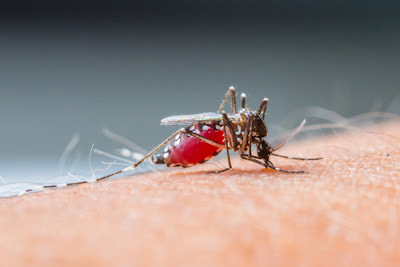 Don’t stop bites by using bedbug repellents: The use of bedbug repellent to get rid of bedbug bites can be very harmful for you as they contain various dangerous chemicals. You should find other options for this purpose. Don’t scratch bedbug bites: People usually scratch bedbug bites due to irritation in them. But it can worsen the situation as it can increase the risk of infection. You can get rid of this irritation by finding out tips to treat it effectively. Thus you can safely get rid of the bedbugs by following the do’s and don’ts on bed bug control given in this write-up.